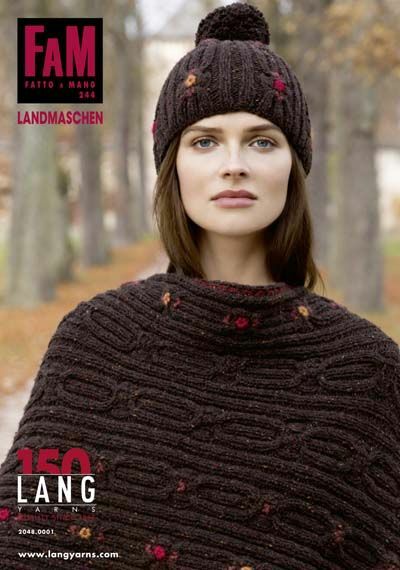 FATTO A MANO 244 LANDMASCHEN, a knitting pattern book from Lang Yarns with a focus on folk style with plenty of cables, some colourwork projects and embroidery detail: knitting pattern designs for ladies with a traditional country feel. FATTO A MANO 244 LANDMASCHEN comprises 30 designs in the folk tradition. Here you will find casual fashion and traditional styles unified in an exciting way. The designs are extremely detailed with special stitches and beautiful embroidery. In the main they are made from yarns with mohair, cashmere or yak, with a large proportion of natural fibres. Most importantly: this look is for everyday and will have a firm place in the wardrobe of every knitting fan. 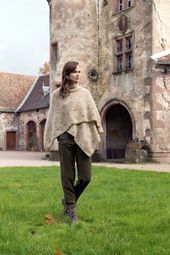 The pictures are taken around the castle at Thanvillé in France - a picturesque and dreamy setting - the perfect location to present these designs.